Call Acorn Building Solutions on 01752 201077 or 07779 777965 as soon as you notice a problem with your roof and we will dispatch a team of professionals to come to the property to repair your roof, if repair is not possible due to the need for a survey, materials or due to bad weather our team will secure your roof to prevent any further damage to your property while your roof is surveyed and repairs are arranged. Slate roofing fixed by professional slate roofers such as those who work for Acorn Building solutions can provide a very long lasting and secure roof. Slate is a very durable material and can withstand the harshest of weathers without becoming damaged. The durability of slate is also apparent in its fire resistance, a slate roof is one of the most fire resistant roofing materials providing added safety should a fire break out within your home. Slate can provide a sophisticated seamless look to your roof and slates are available in a wide variety of colours and in different thickness and sizes to compliment your house. Acorn building solutions have a team of professional roofers who will carry out the work to the highest quality whilst limiting the impact on the day to day running of your household. Acorn have loyal contracts with some of the top roofing material suppliers so are able to offer a wide variety of tile colours and patterns at very competitive prices. Over time moss and algae can build over your tiled roof. This moss and algae can lead to a deterioration of your tiles. Acorn building solutions provide a service where a specialist team will come to your property to valet your roof. Our team will remove the moss and algae and will also inspect the tiles and pointing, making repairs where necessary, thus aiding your roof to last longer before a whole roof replacement is needed. At the same time our team will also clean all your guttering ans fascias to leave you with a roof that looks as good as new. Acorn building solutions can provide all forms of guttering, soffit and fascia replacement and repair. Whether you need us to unblock and clean your guttering, repairs a hole or replace the whole soffits, fascias and guttering we have the specialists who can. Our contractors have decades of experience in replacing both cast iron, aluminium and uPVC guttering and wooden and uPVC fascias and at Acorn our close professional relationship with specialist suppliers means we can provide a great choice of materials with a wide range of colours and designs at competitive prices. Call our team today on 01752 201077 or 07779 777965 to arrange on of our surveyors to come out and quote you for any of the work you require. 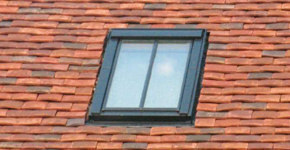 Acorn can source a wide variety of styles and shapes of Velux windows and skylights at competitive prices. Installing a skylight or Velux window into your roof space can help open up the space within your loft and provide a lovely bright airy space. Installing an opening skylight or Velux window will also aid to cool down your property on those hot summer days. Velux windows ans skylights are suitable for installation in any type of roof and the vast choice of flashings mean you will get a perfect fit. Choose Acorn and we will carry out the work to the highest quality whilst limiting the impact on the day to day running of your household. Acorn have loyal contracts with some of the top roofing material suppliers so are able to offer a wide variety of windows at very competitive prices. We also are able to offer an extensive range of Velux blinds to perfectly compliment your new window. Buying a property and unsure about the roof? Does it look a little worn or showing signs of leaking? Unsure if it requires a minor repair or a whole new roof? Call Acorn on 01752 201077or 07779 777965 and make an appointment for one of our surveyors to come and inspect the roof before you complete on your contract to buy. Should works be recommended then we will be able to provide a quote for the required works which may be used to negotiate a lower property sale price. We will secure your roof to prevent any further damage to your property while your roof is surveyed and repairs are arranged. Without a doubt it is clear to see how popular solar panelling installation has become and how much money you are able to save on your electric bill after installation. Acorn Building Services are able to provide high quality, fully insured solar panelling at competitive prices due to our close partnership with a energy solutions company. If solar panelling is something you are interested in them call Acorn on 01752 201077 or 07779777965 to arrange one of our surveyors to visit your property. During this visit our surveyor will discus the energy saving solutions available to use and help you decide on the number of panels you want to have and on their positioning. With a full 10-year structural guarantee on all Acorn Building Solutions foofs, guttering and fascias, you can be sure that your project is built to last and have complete peace of mind. We can offer a full maintenance service to help with the upkeep of your new roof also provide you with a emergency call out number should any unexpected problems occur. Tiles are the most widely used roofing material within the UK. The ease to produce along with a wide variety of colours and designs makes tiling a popular option for both new builds and roof repairs and renovations. Acorn building solutions have specialist roofers with decades of experience, we understand that there is nothing worse then a leaking roof and the stress from worrying about water damage to your belongings. Our team work quickly and effectively to secure your property and prevent further damage to your belongings while surveying the extent of the repairs required. Acorn Building solutions will fully survey your roof and keep you fully updated on our findings and any recommended works, whether it be a simple replacement of slipped or broken tiles or the need to strip part or all of the existing roof and replace Acorn will carry out the work to the highest quality whilst limiting the impact on the day to day running of your household. Acorn have loyal contracts with some of the top roofing material suppliers so are able to offer a wide variety of tile colours and patterns at very competitive prices. Despite the misconceptions about flat roofing, it can provide a very reliable roofing solution. In the past there have been many negative reviews of flat roofing, mainly associated with leaks and minimal durability. Our research has concluded that these problems are mainly due to roofing companies using substandard materials and poor quality contractors. At Acorn Building Solutions we have specialist flat felt roof contractors who through our specialist suppliers use only the best quality materials at competitive prices to ensure you have a reliable flat roof covered by 10 years materials insurance. The association with have with our manufacturers means our customers can have peace of mind and complete confidence that their flat roof will be built to last. Should you make the decision to use Acorn to met your roofing needs, we will carry out the work to the highest quality whilst limiting the impact on the day to day running of your household.